← He Stole My Heart, So I Stole His Last Name. 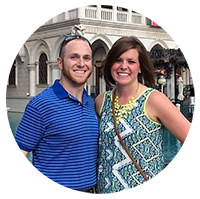 I have been going through the pictures leading up to the wedding looking at how much time and love went in to all of the special projects and details I had planned for the weekend. One such project was the gift baskets for our guests staying at the hotel. I wanted to fill the baskets with things that would remind our guests of the things that Conner and I like to do. Because of this, the baskets included coupons to Chick-fil-A and Waffle House as well as bottled water. The Waffle House coupons were definitely used throughout the weekend since there was one located right next to the Hotel. We even snuck down to hang out with people after the wedding at the Waffle House! 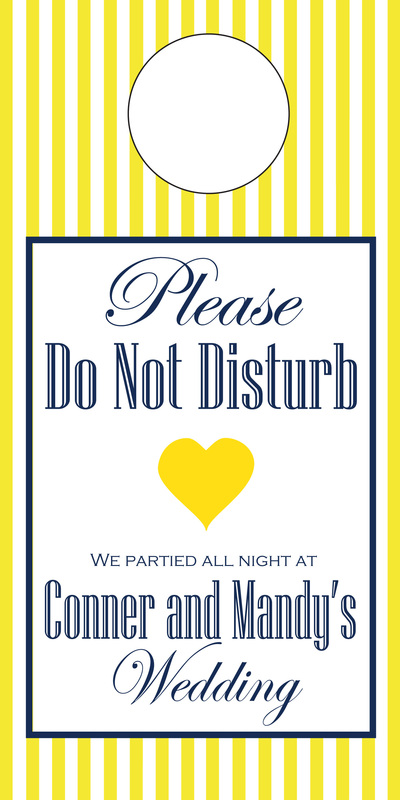 One of my favorite things that I put in the basket were these door hangers that I made for our guests. We also placed some peaches, candies, and mints in the baskets just to make sure everyone stayed fresh for the wedding. 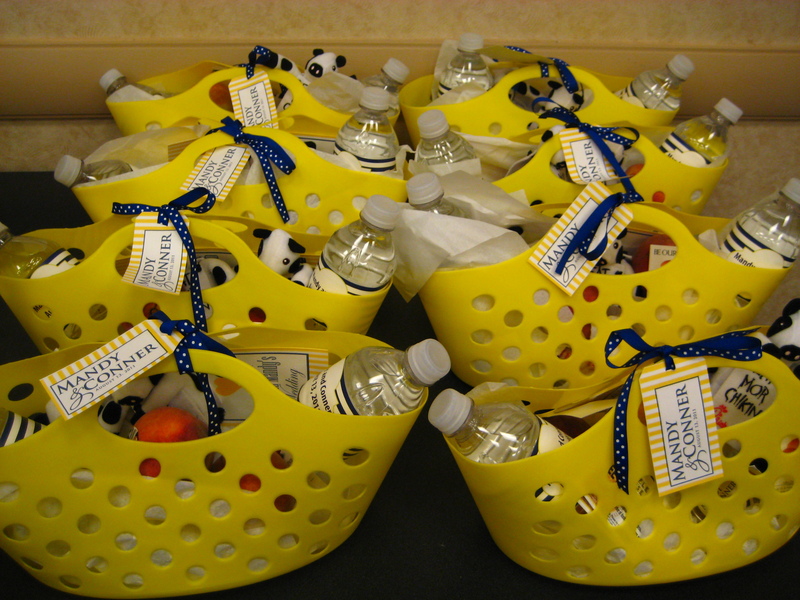 I hope our guests enjoyed these baskets during their stay! This entry was posted in Uncategorized, Wedding and tagged Gifts, Guests, Out of Town Baskets. Bookmark the permalink.